Premium fatwood and fire starting products are harvested on our own land from dead standing longleaf pine trees, and all of our cedar is gathered from low hanging and fallen material. 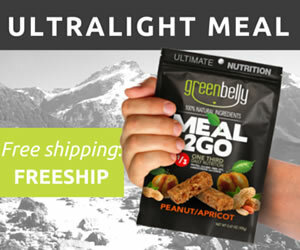 Free Shipping on all purchases over $20.00! 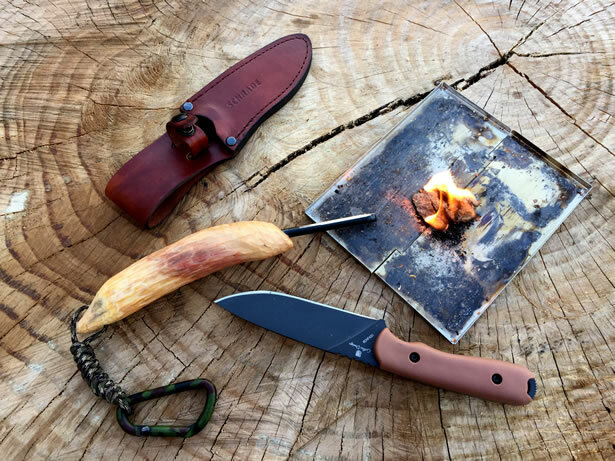 4 Direction Bushcraft is a family owned and operated business located deep in the heart of Missouri where Chris and Tawny Deslo have lived all their lives. Their premium fatwood is harvested on their own land from dead standing longleaf pine trees, and all cedar is gathered from low hanging and fallen material. They love and respect the land so they are careful to harvest responsibly, and not to overharvest to preserve their land and resources for years to come. Fatwood is the dried stumpwood that has been heavily impregnated with resin. It is commonly found in the stumps of dead pine trees and other conifers that produce a lot of resin. When a pine tree dies, the resin is drawn into the stump where it becomes saturated. The resin itself contains terpene which is the main component of turpentine and is incredibly flammable. Fatwood can be found anywhere that you can find a stand of pine trees, but especially in old logging areas where the stumps have had time to dry out and begin rotting. The fatwood bundles from 4 Direction Bushcraft are collected from longleaf pine tree stumps and split into sizable pieces before being packed in 8″ x 10″ cotton sack and secured with a drawstring. It is sold in two sizes, a 21 ounce bag packed full of our premium fatwood pieces, chunks, shavings and dust, and a 16 ounce bag containing a few pieces of fatwood approximately 1″ in diameter and 6″-8″ long. In addition to the two fatwood bundles, 4 Direction Bushcraft also sells individual fatwood sticks in two sizes, each with a 550 paracord lanyard and a carabiner. The large stick measures approximately 1″ in diameter and 6″- 7″ in length, while the medium stick measures approximately 1″ in diameter and 4″-5″ in length. Since fatwood is naturally waterproof, it can be clipped to the outside of any pack and utilized wet or dry. They also handcraft premium fatwood ferro rod handles with a 550 paracord lanyard and a carabiner. Handles typically measure a little over 1″ in diameter and approximately 6″- 7″ in length. You can choose between two sizes, a large ferro rod 1/2″ in diameter and 5″ in length, and a medium ferro rod 5/16″ in diameter and 4″ in length. The ferro rod is a quality soft alloy so shavings can easily be scraped off, and it throws a huge long-burning stream of sparks with each strike. To test the quality of the fatwood, I shaved off a small pile of fine feathered curls with my blade, and a small pile of fatwood dust using my blade’s 90° spine. I could tell right away that the fatwood was very flammable from the strong terpene smell. Once I had stripped some of the coating off of the ferro rod, I was able to light each of the piles with a single strike. Both piles of fatwood lit immediately and burned hot for a few minutes each. 4 Direction Bushcraft Wax Rounds are small semi-round moisture-resistant tinder wafers about the size of a heaping teaspoon. They are made from a proprietary mixture of wax and reduced paper so it looks a lot like the a dehydrated mushroom or a chunk of dryer lint. Each wax round weighs about 1/10th of an ounce and are sold in packs of 5 and 10. They are extremely easily to light and will burn hot for approximately 15 minutes making them perfect for starting fires in wet environments. To test how easy wax rounds are to light and how long they will burn, I took the blade of my knife and ruffed up the surface of the wafer before striking my ferro rod. As soon as the sparks hit the material on the surface of the wafer, it started to burn immediately and continued burning for nearly 15 minutes, just as advertised. 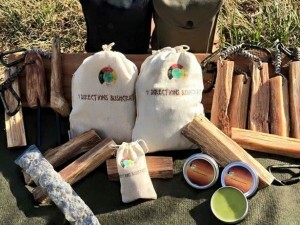 The One Time Fire bundles are made from a proprietary mixture of wax and natural tinder materials neatly wrapped in birch bark and tied off with jute twine, and stuffed in a small 3″ x 5″ cotton sack with a drawstring closure. 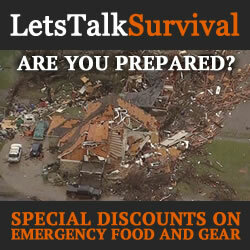 Short of the fire source, it contains everything you need to get a fire going quick and easy to start drying out your firewood. 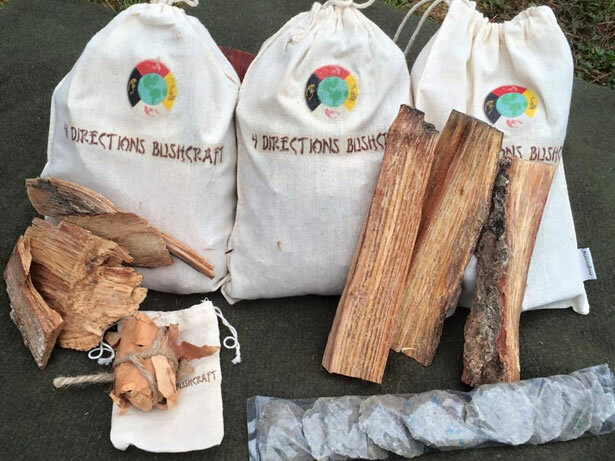 For those of us who don’t have any good local resources for harvesting fatwood and other natural firemaking materials nearby, 4 Direction Bushcraft is a trusted source of quality firemaking products at an affordable price. The quality of their Premium Fatwood is exceptional, as is the quality of their Wax Rounds and One Time Fire bundles. If you are putting together a bushcraft fire kit, or you just want to practice traditional bushcraft firemaking techniques, simply visit the 4 Direction Bushcraft website. I think you’ll find much of what you are looking for. We are a family owned and run business that resides in mid Missouri. We own our own land and have been here our entire lives. We cherish our land and respect it, therefore we are careful when we harvest our materials for the bushcraft company. All of our premium fatwood is harvested from dead standing, our cedar is gathered from low hanging pieces and fallen pieces. This type of gathering allows us to preserve our land and allow it to thrive as it has for many years.